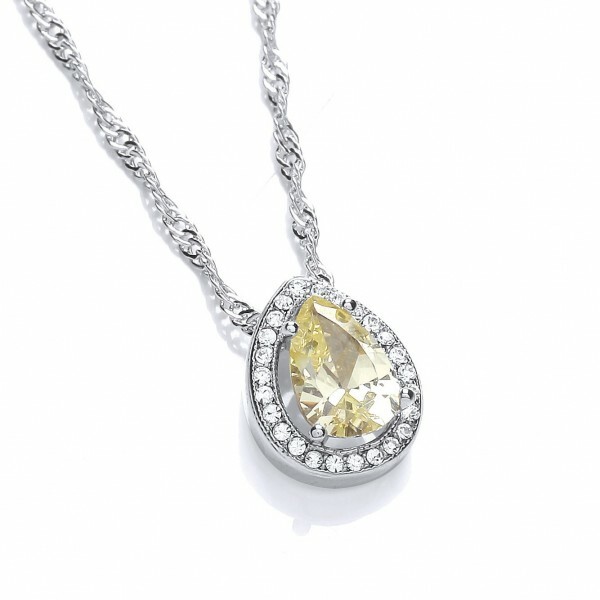 Beautifully showcasing Buckley London's sophisticated aesthetic, this flawless yellow diamond coloured pendant is a modern interpretation of a classic style. 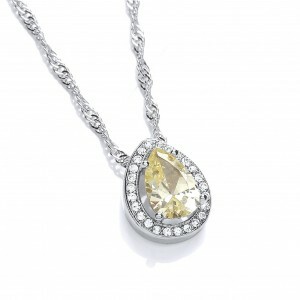 Exquisitely suspended on a diamond cut twisted Singapore chain, wear this treasure to add stylish flair to every look. Chain length is 40cm with a 5cm extender chain. Matching earrings (CZE996) also available.